We are a leading Exporter of stainless steel 304l spectacle flanges, flanges, spectacle flange, socket weld flanges, spectacle blind flanges and lapped joint flanges from Mumbai, India. 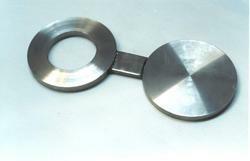 We manufacture Stainless Steel 304L Spectacle Flanges from carbon Stainless Steel of finest grade. The Stainless Steel 304 Spectacle Flanges are popularly used to close the ends of Pipes, Valves, Pressure Vessel openings and other channels where one end needs to be blanked off. Each of our spectacle flange proudly bears our quality pledge and is highly durable. Our Stainless Steel 304L Spectacle Flanges can be customized on size, thickness, or any other parameter that the client might feel suitable. 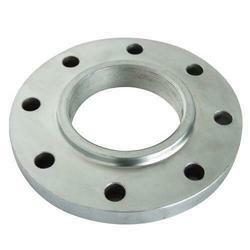 Duplex Steel Long Neck Weld Flange ASTM / ASME A/SA 182 UNS F 44, F 45, F51, F 53, F 55, F 60, F 61. We exports various forged and plate flanges in large dia with different grades. We produce using high quality of steel to make them last for many years. We offer high quality and superior performance forged flanges and steel flanges for various requirements of our clients. Designed as per market standards and parameters. Our flanges are high in durability and can withstand extreme conditions. Our comprehensive range includes stainless steel flanges, weld neck flanges, socket weld flanges, steel weld flanges, steel weld neck flanges and many more. We are exporting in Bahrain, Brazil, Canada, Chile, Czech Republic, Egypt, Indonesia, Italy,Oman, Paland, Qatar, Saudi Arabia, Singapore, Uae, Uk, Usa, Germany. Grade : F 304, 304L, 304H, 309S, 309H, 310S, 310H, 316, 316TI, 316H, 316L, 316LN,317, 317L, 321, 321H, 347, 347H, 904L. We have established ourselves as a renowned stockist and supplier of a superior quality range of Spectacle Flanges. Our flanges are manufactured at the vendors' end following set industry standards. 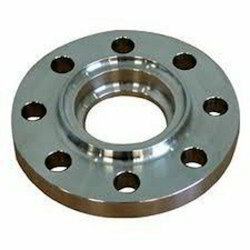 These flanges can be availed by the customers in different dimensions & sizes as per their demands. The offered flanges are widely used to close the end of pipes, valves and pressure vessel openings. 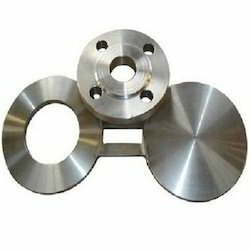 Moreover, customers can avail these flanges from us at competitive prices. Standard : ASA 150, ASA 300 Etc. Material Grade All grade of CS, MS, SS, Nickel Alloys etc. 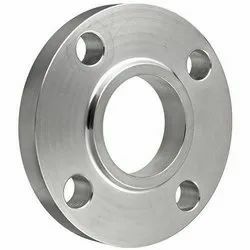 We are a well-reputed business organization which is listed among leading suppliers and exporters of a wide range of Spectale Blind Flanges. 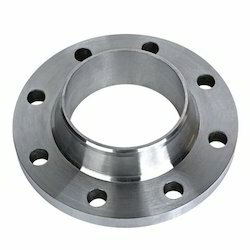 Sourced from trusted market vendors, these flanges are assured for their precision design and pristine quality. Being a customer centric organization, we ensure that each product is checked for any kind of finishing flaw, thereby delivering only finest consignments at clientsâ€™ premises. Our Spectacle Blind Flanges can be availed at industry leading prices. With the support of our knowledgeable professionals, we have been competent in supplying and exporting optimum quality Lap Joint Flanges which are subject to a battery of tests including tension, strength, stress and stiffness of the flanges. The design of Lap Joint Flanges is one of the most crucial factors, and evaluation and validation of designs in order to ensure dimensional control. Our innovative fabrication framework offers the analytical method to check the dimensional preciseness while inspecting minutely designing process. We are focused to the design evaluation, quality determination and manufacturing methodology in order that our range exhibits a variety of optimal properties which are superior to the range available in the markets. 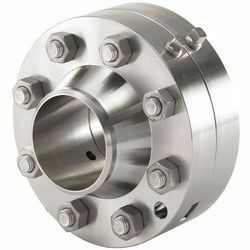 Such type of pipe flanges is used to connect two pipes. 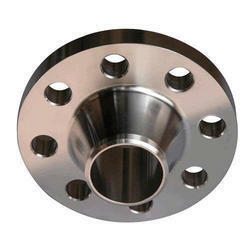 Our flanges are manufactured employing sophisticated techniques at our vendors manufacturing unit using pristine grade material. Taking on the strict challenge of business circumstances, Monolika Metal Industries has embraced the policy of less production cost, optimizing product quality, environment-friendly and delightful customer support to produce the competitive advantages. Resultantly, we as a company execute the comprehensive research for streamlining the design and fabrication processes which enable us to set an aim for manufacturing the unmatched and cost-efficient product line. As we anticipate the research and improvement of fabrication technology and employment of the ingenious production methodology which allow us to establish ourselves as the most proficient Lap Joint FlangesExporter and Manufacturer of the Indian markets. 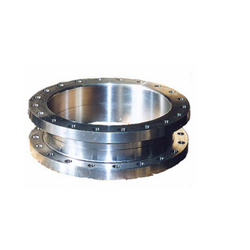 We have with us a qualitative array of DIN 1.4401 Flanges. These flanges are manufactured using supreme-grade stainless steel and are known for their corrosion-resistance and durable performance. The flanges are available in various models and dimensions as per the specifications given by the clients. Moreover, these products find application in various industries including engineering, construction, chemical and power plant. Leveraging on our widely spread distribution network, we procure and deal in a high performing range of Weld Neck Flanges. The range offered by us can be availed by the esteemed customers in numerous sizes and diameters. Moreover, our offered flanges are manufactured at the vendor's end, ensuring wall thickness with equal dimensions of the parallel pipe. These flanges are strictly checked by the quality analyzers on varied parameters before the end delivery. Serration as per customers’ requirements. ASA 150#, ASA 300# DIN ND 6,10,16,25,40 Etc. Pipe Size 1/2" to 60"
Tensile Strength As Per Spec. Product Customization LWNRF, LWNRTJ, BLRTJ, SORTJ, SWRTJ etc. We have gained expertise in delivering a quality range of Slip on Flanges. The offered flanges are sourced authentic vendors of the market, who follow international quality standards in the manufacturing. These flanges can be availed by the customers in various specifications such as sizes, dimensions and shapes. Our products are perfect for lower pressure applications and can be easily fitted & welded into different pipes. Before the end delivery, our flanges are stringently checked on varied parameters to ensure their durability and effectiveness.